Food served Tue–Sun noon–2.30pm, 5–10pm. Closed Mon. 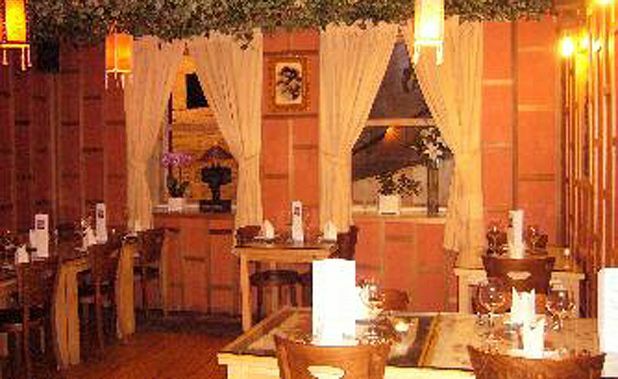 Intimate setting where friendly staff deliver high-quality Thai classics. If you're looking for a classic Thai meal, where all the dishes go to plan, the environment is relaxed and the staff are friendly, you could do worse than Krua Khun Mae off Cockburn Street. The setting is cosy, with diners clustered in a series of small, gently lit rooms, while the wine list is unusually reasonable and well-suited to the cuisine. Thai fishcakes are satisfying but try their spring rolls too; crispy, well-filled and nicely seasoned, they are a cut above the usual. A crying tiger steak, charred and pink, languishes in chilli, lime, rice powder and the edgy saltiness of fish sauce. Gaeng pha with chicken, a hot jungle curry flavoured with Chinese ginger and holy basil, has enough punch to grab your attention but doesn’t overwhelm. Pad Thai is oh so pleasing, and if you're stuffed by this stage, you'll definitely want to take the leftovers home to cheer you up the following day. A great spot for special evenings out, or just curing the midweek blues.